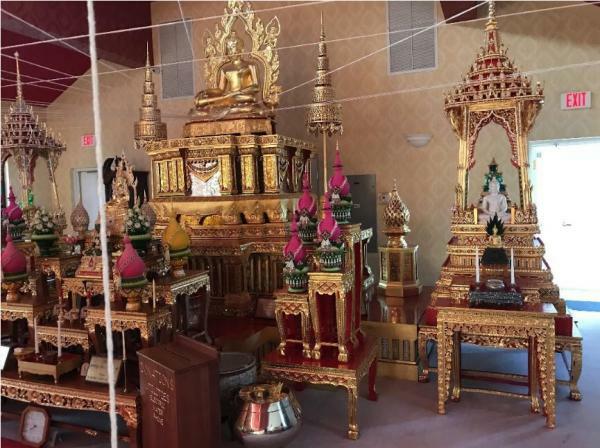 WatTampaInEnglish is the unofficial web site for Wat Tampa (Wat Mongkolratanaram) .....The Sunday Market is held every Sunday, come rain or shine, from about 8:30am until 1:00 pm. Some booths may run out of food earlier. Come join us for great food & view in a family friendly setting! .... Dogs are welcome at the Sunday Market but please don't bring them onto the deck where the food is served Please do NOT park in the church parking lot across from Wat Tampa - your car WILL BE Towed! 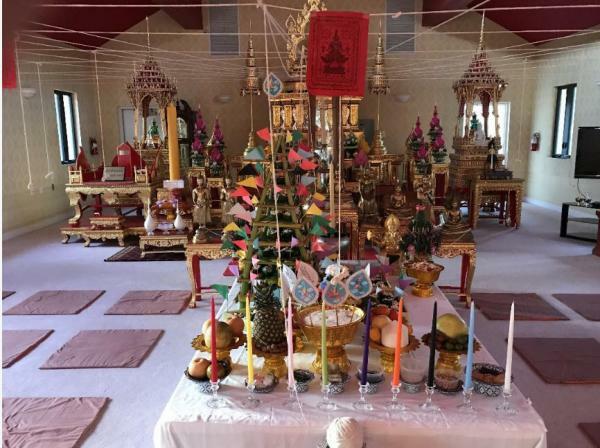 The "Enhance Your Life Ceremony" is held at Wat Tampa yearly - usually in mid-December. The December 17, 2017 ceremony was held two times: 1:00pm and 3:00pm. The cermony includes Monks chant blessings and chanting birthday blessings. You must reserve a seat at one of the two times by calling the Temple at 813-621-1169 or email at . There is a $20 donation for each participant. 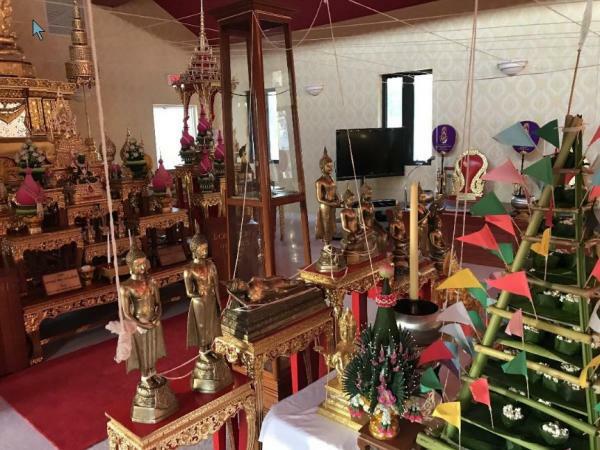 Seating is limited so if you would like to attend please contact the Temple at the phone or email above and register for one of the two ceremonies: 1:00pm or 3:00pm. If you attend you must dress in all white clothing. Note the candles in the foreground - one for each day of the week. 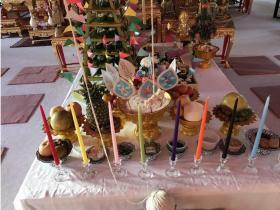 Part of the ceremony is to light each candle while the Monks chant for persons born on that day. The strings visible in this and other pictures represent the concept of "all sentient beings are interconnected." During the ceremony, each candle is lite by a person who was born on that day of the week. 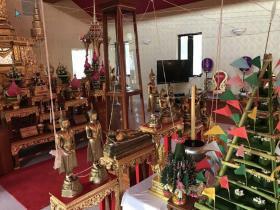 The Monks chant a blessing for all persons born on that day of the week. In the picture background note the raised chair (left) background) and pedestal for the main Buddha image. 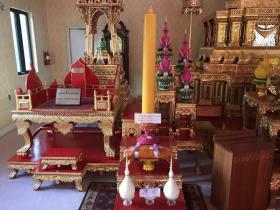 Note the other artifacts that are part of the celebration. 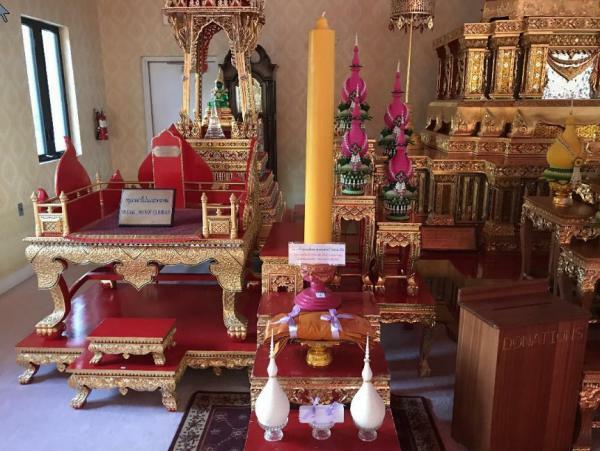 The main Buddha image is highlighted in the center of the picture. Note the tall item on the far right. 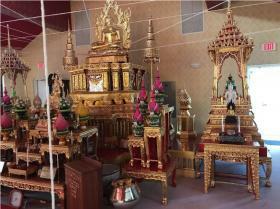 Typically this item is used for processions that are part of the Buddhist holidays celebrated at Wat Tampa.